conclusion; this flowchart is bunk. 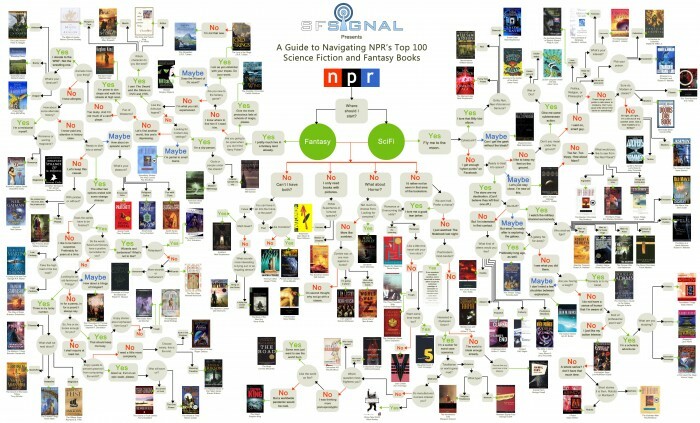 NPR kind of goes with ‘fantasy’. Still nice to have titles and authors to look up on Amazon. For me possibly not bunk. It is very tongue in cheek, so I don’t think the process flow diagram is to be taken too seriously. But a good list of books….have read many of them, but there’s lots there I haven’t……. Definitely adding some of these to this year’s reading list. If you haven’t already read snowcrash.